We have started a brand new curriculum for ages 3 year old to 5th Grade! We are using the Apologetics Press curriculum, Exploring God's Word. 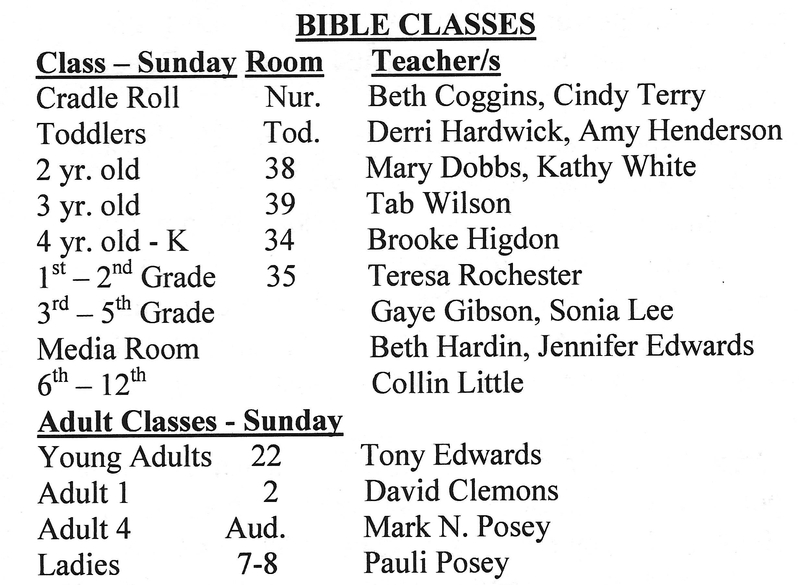 This is an informative, engaging, biblically sound Bible school curriculum. It has been developed over a series of many years by highly qualified individuals who have invested countless hours in its production. We think you will find this to be one of the most unique, effective Bible school curricula available anywhere. Exploring God's Word is unique in that it is an on-line curriculum. Since it is on-line, it can be viewed, downloaded, and printed by anyone with an Internet connection anywhere in the world.